Faded Flowers – B is for Blessed! Work Wise…work to live or live to work? 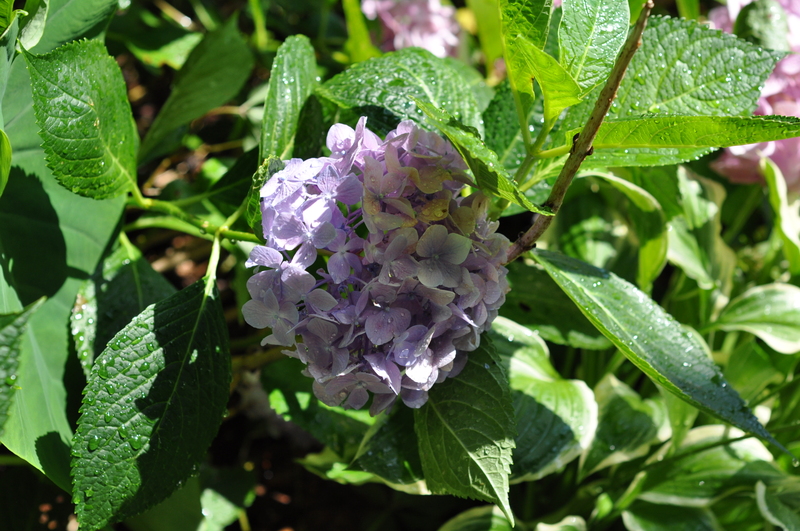 As I was looking at the remnants of my hydrangeas, one in particular caught my eye. The flower was no longer the fresh sweet pink it had been upon blooming many weeks ago. Instead, it was faded and speckled but still it had a beauty all its own. It made me reflect on how many times we casually toss things aside or fail to appreciate people after the “newness” has worn off. The joy and excitement of new love at its onset often fades as years wear on and relationships weather everyday routines and obligations. The excitement of parenting quickly gives way to the responsibility and time required to do the job properly. Friendships are often neglected when the fun times are few and far between. When the butterflies of new-found love are long gone, can you appreciate the great qualities, faithfulness and reliability of your significant other? Relationships are never perfect as they are composed of imperfect people, but often our flawed (not destructive!) relationships are more satisfying than having none at all. Too many times we stare at the flaws instead of being in awe of the perfect people for us that God has allowed in our lives. I challenge you today to look at the people and relationships in your life with a fresh perspective. Even though things and people may not be what they once were, they may still be beautiful in new and different ways. View that same old job with a gratitude that it’s still there! Look at the house in need of repair not with disdain but as a place you really can call home. Your kids may not be perfect (and who is) but at least you’ve gotten them this far! Like a car when the new shine wears off, dependability should be celebrated instead of longing for that new car smell. Love the people and things in your life for getting you where you need to go, coming along for the ride, or for simply being available and being there. Why wait until a time of loss to appreciate what you have right now? New isn’t always better. There is more to be said for faithfulness, dependability, and long-lasting love than for the glitz and glamour of the latest and greatest whoever and whatever! Contentment doesn’t necessarily breed complacency; it can instead allow you peace and joy for where you are now, your personal journey and the people and things you’ve been blessed with along the way. Family, friends, good books, and wine. Some things are better with the passage of time. To every morning I have some moments with my prayers and I can tell you – after many years, it is obvious to me that being human makes it completely necessary to rely upon the others and those in love for God’s will bring us the joy… with this commitment there is healthy contentment. Thank you for the visit and the like of my Weekly Photo Challenge post “Containers”. WAHOO!! I now know what that thing in the middle of the lawn is called!! I never dead head hydrangeas because for me the “dead” ones have a beauty and a structure all their own. I even have photos of the “dead” blossoms covered in ice! Excellent advice. So often things aren’t “old”, they just aren’t new, so we don’t look at them with fresh eyes. Thanks for your work here…keep on writing! No, you deserve the recognition! Good work and congrats! Living in Chicago, September is the time we start pulling out our summer flowers and replacing them with newly purchased fall flowers. But, it is so sad to pull out flowers who are still alive just because they aren’t “in season.” My mom would never do that. Thanks for your comments. Your mom sounds like a wise woman! I try to let the season’s flowers last as long as possible. I often have overlapping plants on my porch. Right now caladiums and hostas are out front with mums. Thanks for stopping by!